*We respect your privacy. All information submitted in this form is transmitted over secure servers, and will be kept strictly confidential. In response to your inquiry, your information will be added to our in-house database and you will be contacted by email and/or phone by a member of the clinical study team to discuss research opportunities available to you. 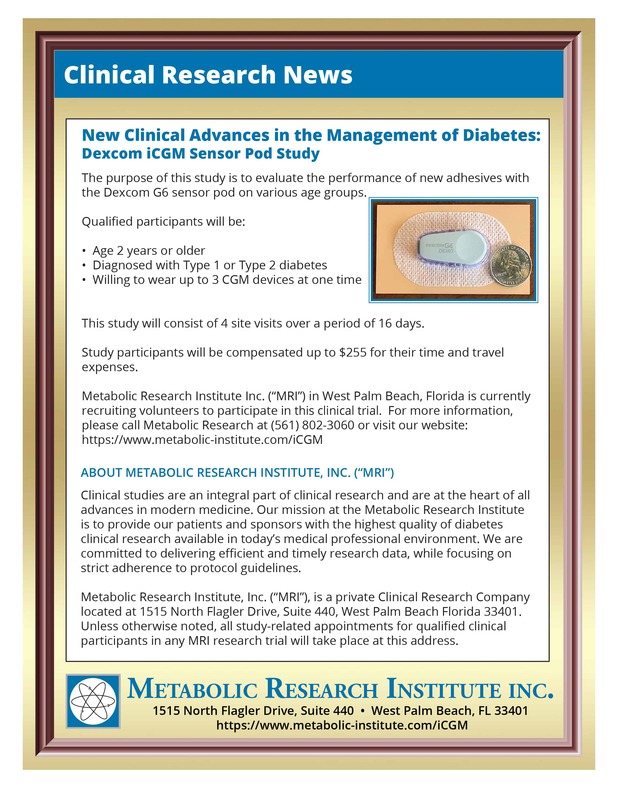 © Metabolic Research Institute, Inc. 2018 All Rights Reserved.